The FCMBFlexxtern 2.0 is here! This edition is bigger and better, as young #Flexxers will get the opportunity to gain first-hand experience in the business world through a 3-month paid internship. So, if you are a fresh graduate or in your final year and aged between 16 - 25, the moment to show what you are made of is right now. 15 winners will each get a 3-month Internship with FCMB or one of companies partnering with the Bank for this initiative. Entry into the contest begins on 2nd October, 2017 and closes on the 22nd October, 2017. 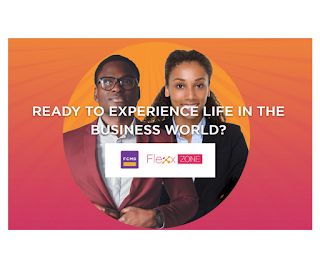 Create a 45-second YouTube Video with the hashtag #FCMBFlexxtern explaining why you should be hired as "The Flexxtern"
Register and submit your YouTube link, you'll receive an email to verify your entry.